On Sunday, Lindsey Vonn will compete in her final race. And it may be only a matter of time before Shiffrin passes Vonn as America’s greatest-ever alpiner. Eleven years Vonn’s junior, Shiffrin has far more wins and World Cup points than Vonn had at the same age, and she is already zooming up lists like the career super ranking at an unbelievable pace. 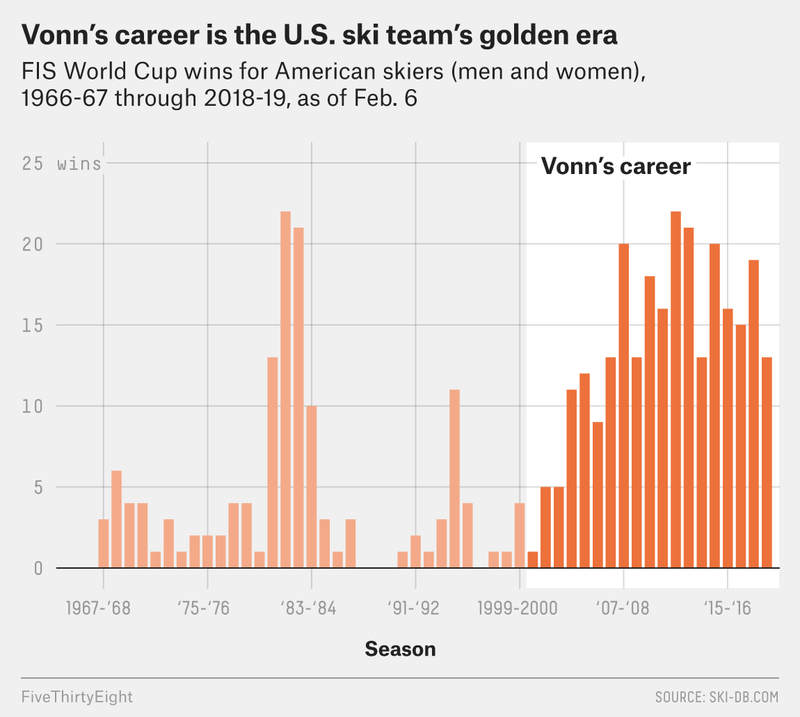 And unlike Vonn, whose signature events are in the dangerous downhill, Shiffrin picks up the majority of her World Cup points in the technically demanding but comparatively safer slalom and giant slalom disciplines, so she might be able to avoid the kinds of injuries that ended Vonn’s career.1 As great as Vonn has been, her days as the GOAT are probably numbered. Granted, Shiffrin has begun winning more often in the fast races, taking gold in the World Championship super-G on Tuesday.